I wish I could stop time. Just pause it now and then, possibly rewind once in a while. Stretch out the days to 30 hours sometimes. Halloween is coming and I have been sick since last weekend. Shortly after beginning my daughter's costume, the fever and upset stomach started. By the middle of this week someone was running serrated knives inside my ears and pouring sludge down my throat. Still, the days passed by and the 31st creeps nearer with every tick. Where's that damn pause button! Yesterday, sitting on the couch armed with Tivo'd "What Not to Wear" episodes, I went back to work on the black cat costume. Hot tea and tissues on one side, black mittens and fake nails on the other. Guess which two things were for the costume? One paw down. Sure, I didn't do the greatest job clipping the fake nails into claw shapes, but who gives a hoot. The whole point of Halloween being at night is so you can take some creative license with your costume and no one will be able to tell, right? 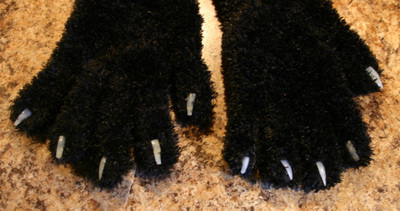 I fast forwarded through some Tivo'd commercials and set to work on paw #2. The mitten started to smoke as the glue hit the fabric this time. I accidentally glued my right hand to the underside of the mitten. 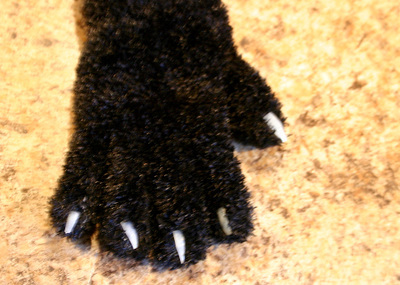 I yanked and pulled and broke my hand free, but it was covered in black tufts of fake fur now. Looks like I'm going to be a black cat for Halloween too now. I finished the second mitten and laid them side by side to admire them. That's when I made a mental note. Cold medicine and crafts don't mix. Sure, I made two paw mittens. Two RIGHT HAND paw mittens. Photo Friday time again. Where are the weeks going? I feel like it should be retitled Photo Month for me as I only participate that often. 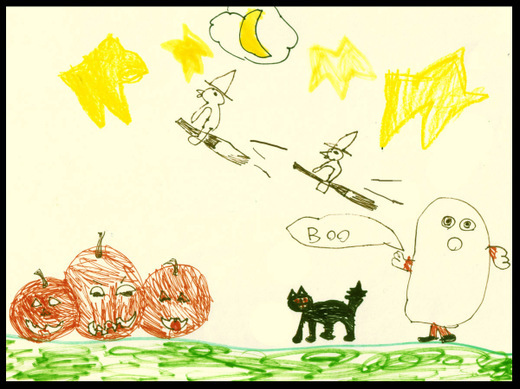 Here goes October's submission!